You are here: Home / Great Deals / Titanium Flat Top Ring With High Polished Center And Stepped Edges Only $5.99! Down From $199.95! 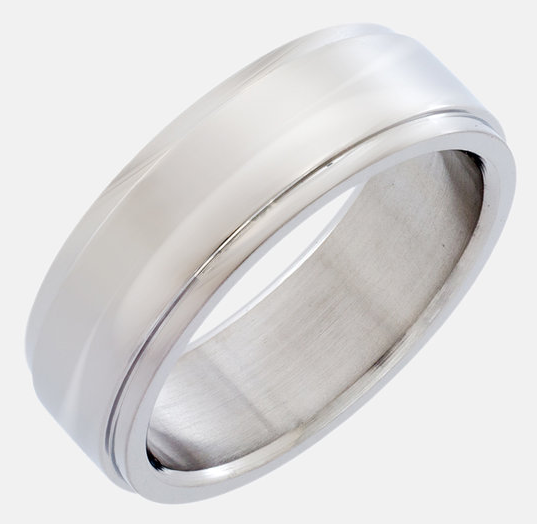 Titanium Flat Top Ring With High Polished Center And Stepped Edges Only $5.99! Down From $199.95! Tanga has this Titanium Flat Top Ring With High Polished Center And Stepped Edges on sale for $5.99 (Reg. $199.95)! Titanium is commercial grade (the most pure type of titanium (99% pure). Titanium won’t tarnish and turn your finger green, ding, or dent. Titanium is very lightweight (about half the weight of steel but much stronger). Titanium is also hypo-allergenic which means that in most cases those with allergic reactions to jewelry can easily wear and enjoy it.